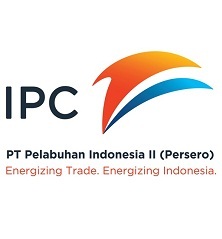 Lowongan Kerja Pelabuhan Indonesia II (Persero) atau disingkat Pelindo II,Pelindo II adalah salah satu perusahaan Badan Usaha Milik Negara (BUMN) yang bergerak di bidang Jasa Kepelabuhanan. Education background: minimum Bachelor degree on Civil Engineering/Geodesy or ANT-I. Minimum experience 2 years as Operation Manager/Project Manager on dredging/reclamation. Education background minimum Bachelor degree on Marine Engineering or ATT-II. Minimum experience 2 years as Technical Superintendent, includes as Chief Engineer. Proficient in English (both oral & written). Education background minimum Bachelor degree on Civil Engineering/ Geodesy or ANT-II. Minimum experience 2 years on planning and controlling of dredging/ reclamation project. Minimum experience 2 years on planning and controlling dredging/ reclamation project. Education background minimum Bachelor degree on Marine Engineering or ANT-1/ATT-1. Minimum experience 2 years as a Shipyard Production Manager.